Is it possible to return those 80-year old wood floors in your home or office or that beloved-but-worn dining table and chairs to its original look? What about restoring the slightly scratched teak table you bought from an antique store, that wooden bowl that has served the family with years of sweet memory, or those well-thought out cabinets in the kitchen and bathroom that just fit perfectly in their position which has now become stained to their natural shine and glow? 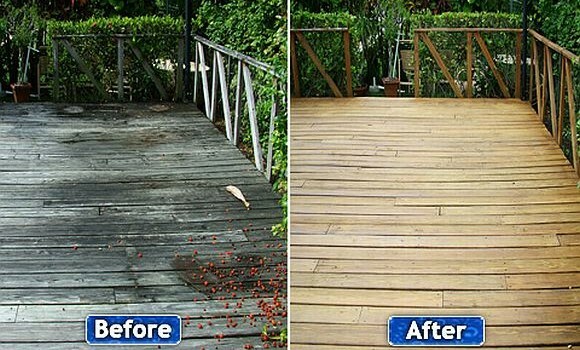 Our wood cleaning services may just be the perfect solution for your wooden surfaces. Wood surfaces get dirty. While cooking, grease drops on them; everything from cake batter to Olive oil spill on them; the children volunteer to make fruit smoothies, turning on the blender without the top on thereby slinging orange juice and smashed banana across the room. Even something as simple as dropping a hot or cold drink directly on the wood surface stains it. All these wood surfaces have been dusted, mopped, and shined regularly, but over time the polish used on them combine with dust to leave dark films on them. To keep these wooden surfaces looking their best, there is the need for periodic deep cleaning. The nature of the wood and the type of finish on the surface determines the type of cleaning product to use. It is important to know that different wood surfaces in homes or offices may require various products to properly clean, and preserve their quality. The steps to follow in cleaning your wooden surfaces (regardless of the nature of the wood and the finishing it has) are simple and almost identical. ◈ First, you dust or sweep the wood surface. This removes debris and other small particles that might otherwise get ingrained to the wood surface. Again the type of wood surface will determine the duster or dirt remover to use. ◈ Use the required cleaning product to clean the surface. Now, this is the part that is a little bit hard. If you use the wrong cleaning agent, you run the risk of damaging your wood surface even much more. Usually, the cleaning agent is diluted in water before use. For wood items that we use in serving edibles like a wooden bowl, cleaning agents with ingredients that are safe to digest must be utilized. Marks and scratches on hardwood floors and surfaces may not be removed after cleaning and will require other stronger agents and brushes to remove. ◈ Wax or polish the wood. This protects the already cleaned wood surface. And again, these waxes or polishes are wood-specific. Wood furnishings without doubt add a warm touch to homes and businesses, and hence need to be cleaned periodically to maintain this warmth. Wood cleaning when done by professionals at Wash N Seal will be easy and perfect, leaving the wood surface with such shine and glow like when it was new.